Cupertino computing giant Apple used its 2018 WWDC developers’ conference to double down on digital health initiatives. The Do Not Disturb During Bedtime feature blocks access to notifications during preset hours. Once users are ready to go through their notifications, their iOS devices will ease them into the process. In terms of the revised notification structure, users will be able to access notifications grouped by type of app and even topic. Finally, the iOS Screentime app will provide users with a comprehensive usage breakdown, including time spent within specific apps and time spent using the device. Screentime will allow parents to set custom hours for device and app usage, while providing both children and parents with a usage breakdown. Additionally, users will be able to set App Limits, which will allow them to limit how much time they spend within specific apps. Users will be provided usage statistics every week. 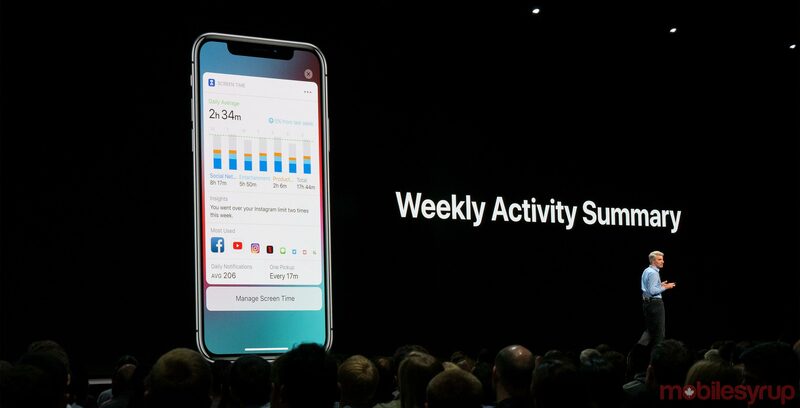 Activity tracking will sync across iOS devices, meaning that users won’t be able to circumvent their app usage limits.